JEMIMA was the twentieth boat designed and built by Holt Abbott of Canal Pleasurecraft (Stourport) Ltd. He was the first in the UK to design and build pleasure boats specifically for use on the canals (as opposed to adapting existing narrow boats and Broads cruisers). He was inspired to do this by Tom Rolt, who he met in 1947 when CRESSY came into Diglis Basin, where Holt and his wife Florence were living on a converted naval pinnace called ROTHESAY. His original design was adapted and used by other boat building companies in the 1950s and 1960s, including Bonds of Maidenhead and the Stone Boat Building Co. in Staffs. 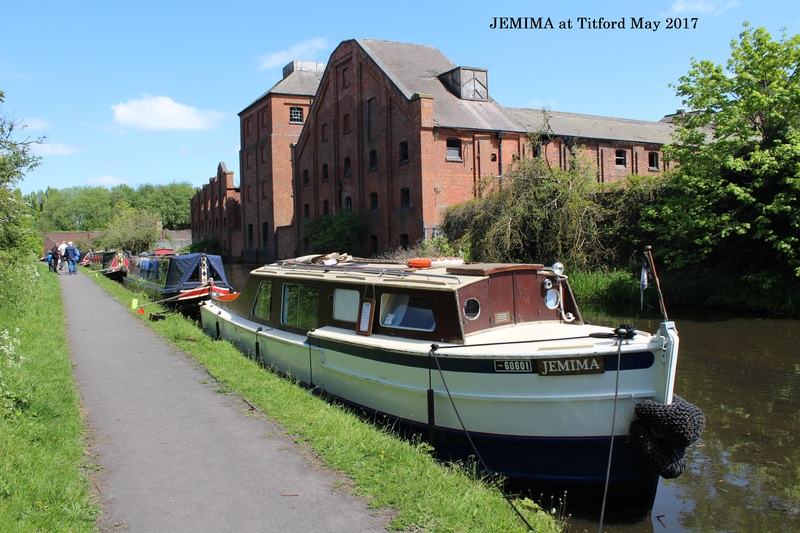 JEMIMA was built for Mr T W Higgs who cruised extensively in her between 1965 and 2000, during which time they visited every navigable inland waterway connected to the system, earned 13 Silver Sword awards, and built up an impressive collection of plaques from historic events. JEMIMA was based at Saul Junction and taken via the Severn Estuary to Bath for winter each year. Higgs made this voyage either up or down steam at least 50 times, even acting as an unofficial pilot on occasions.